July 4th means a lot to me; I’m a Navy brat with relatives from my great grandfathers, grandfathers, uncles, brothers, and nephews who have all served in the armed forces. However, as an American, the pride I feel on this day is for our immigrant forefathers who fought to establish a new country and a government of the people, for the people, and by the people with our Constitution. Today, I decided, since I won’t be doing a LIVE video on FaceBook on the 4th, I would step out this project to inspire you. 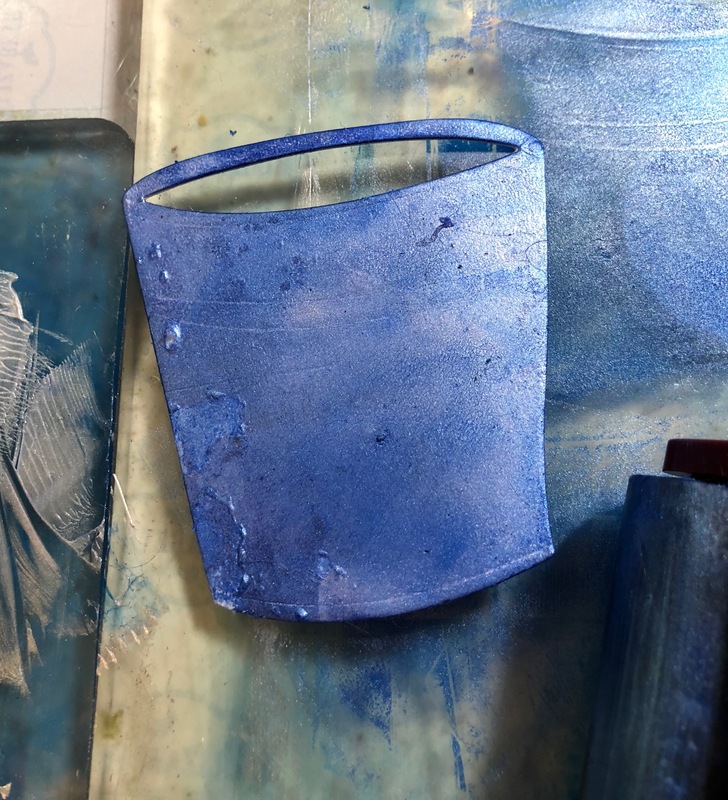 I started with my “Bucket,” which I have galvanized, done in brass and in a wood look, but today, I did a painted tin look…in of course, a Royal Blue. 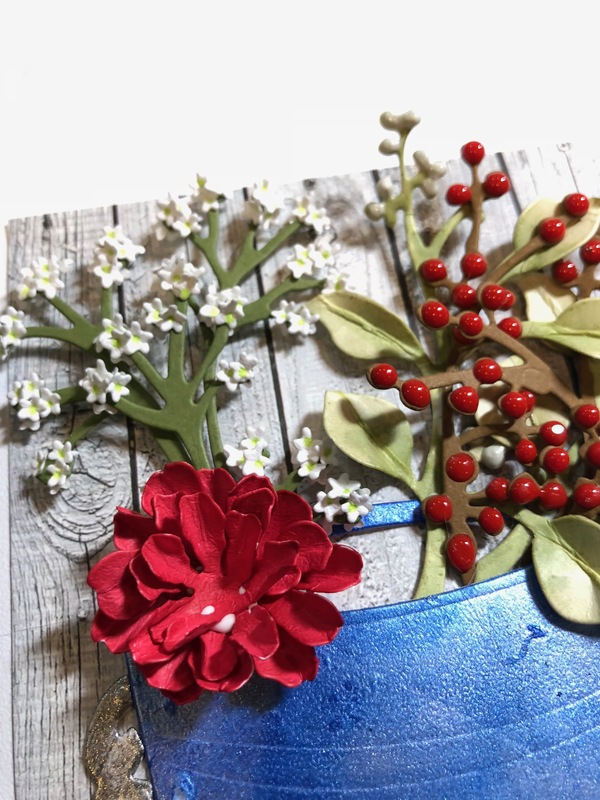 The Bucket is filled with Baby’s Breath, Eucalyptus, Red Berry Spray, and one of my favorite summer flowers–Zinnias. Enjoy! 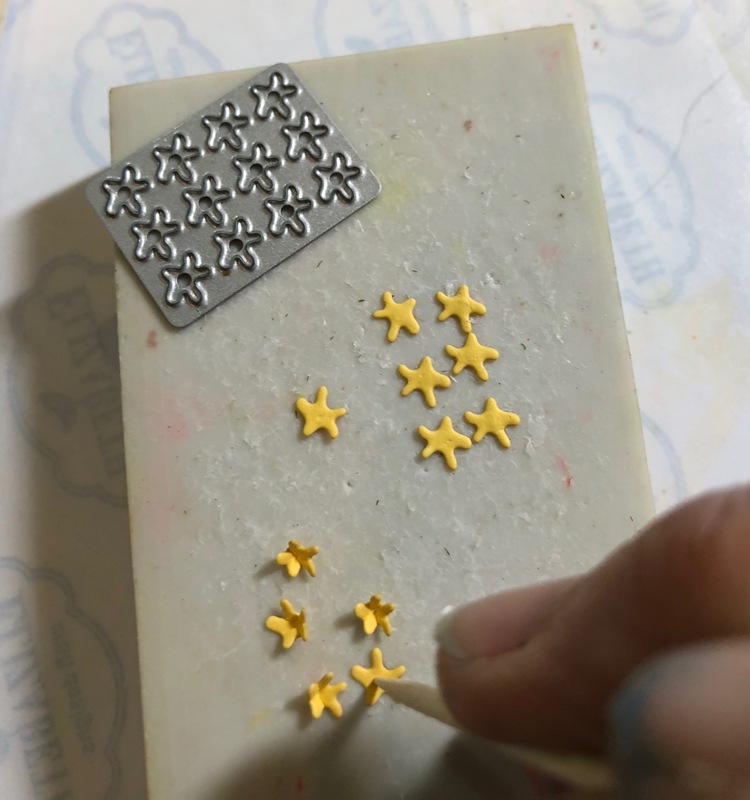 I started with adding Nuvo Crystal Drops/Red Berry on the Berry Spray so it could dry. 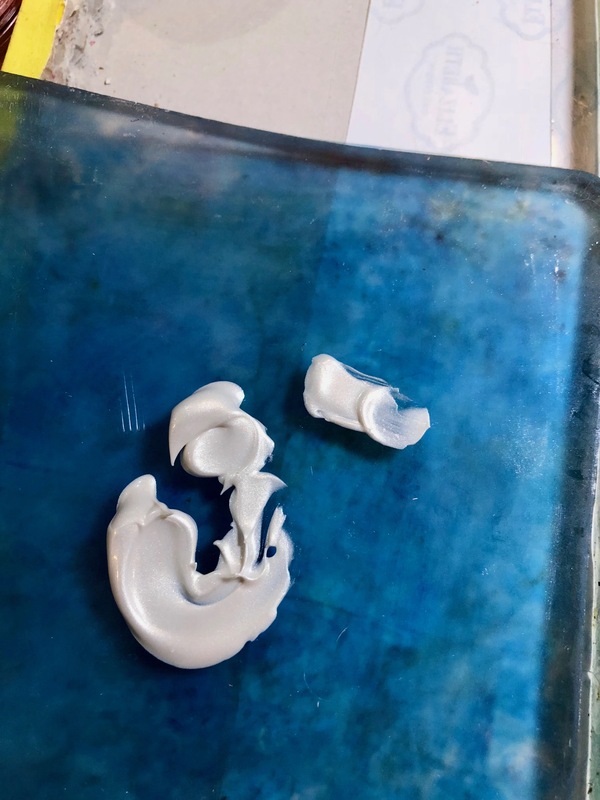 I do both sides so it can take awhile before it’s ready–especially with humidity. 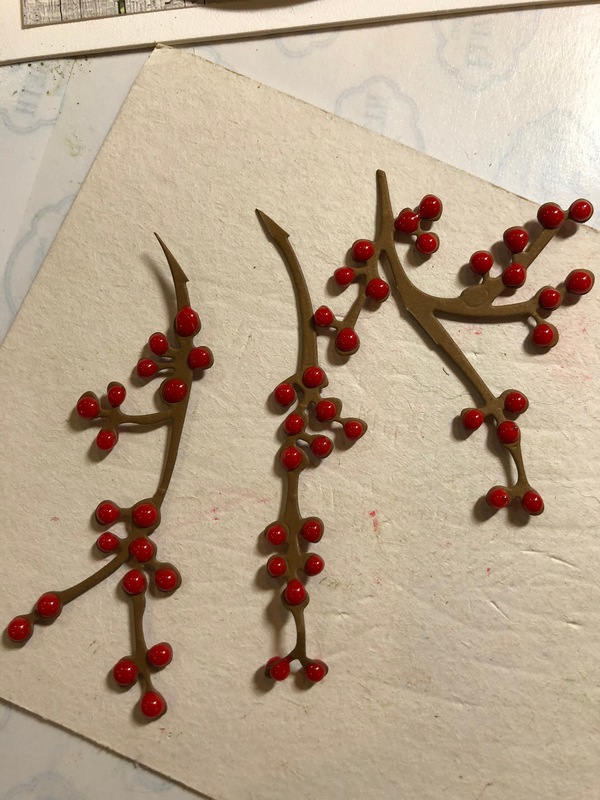 I also colored the Eucalyptus branches (I cut two) with Copic Markers–YG91 and YG93. 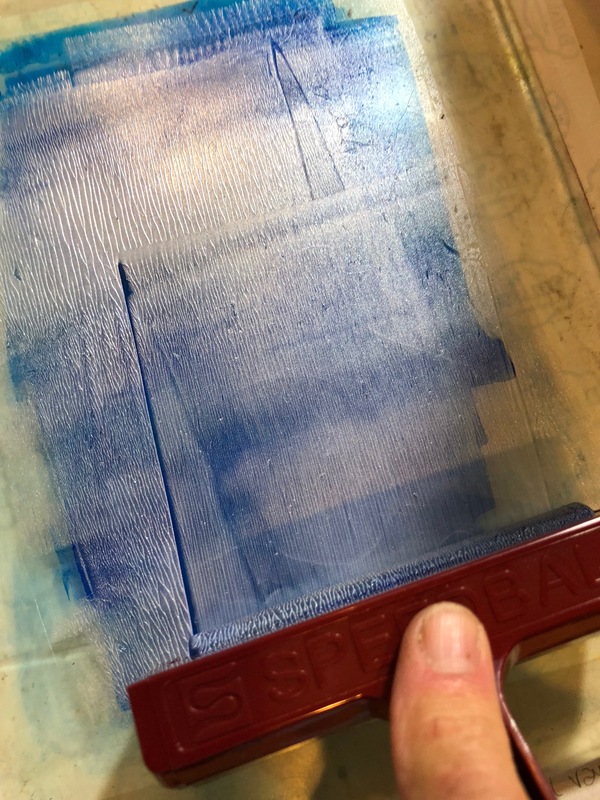 I added Nuvo Crystal Drops/Oyster Grey in the berry areas. 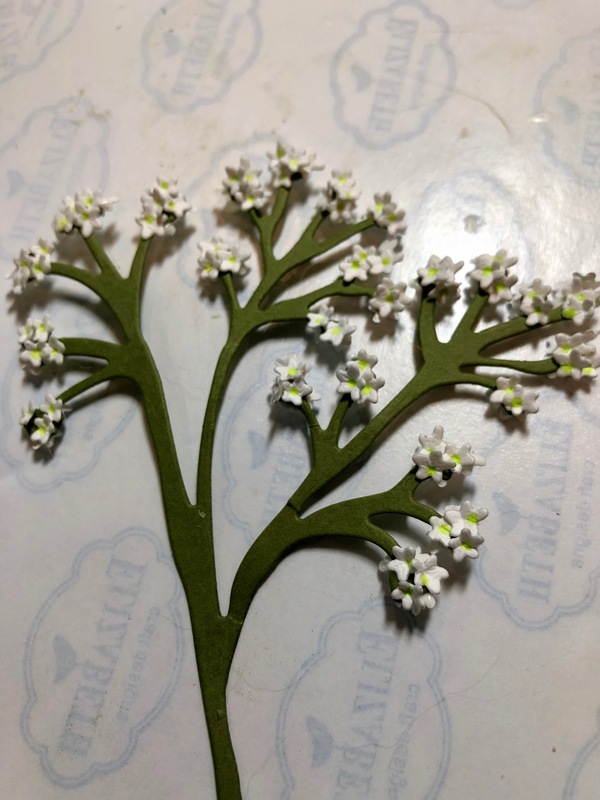 I die cut the Baby’s Breath branch and the tiny flower plate (6 times). 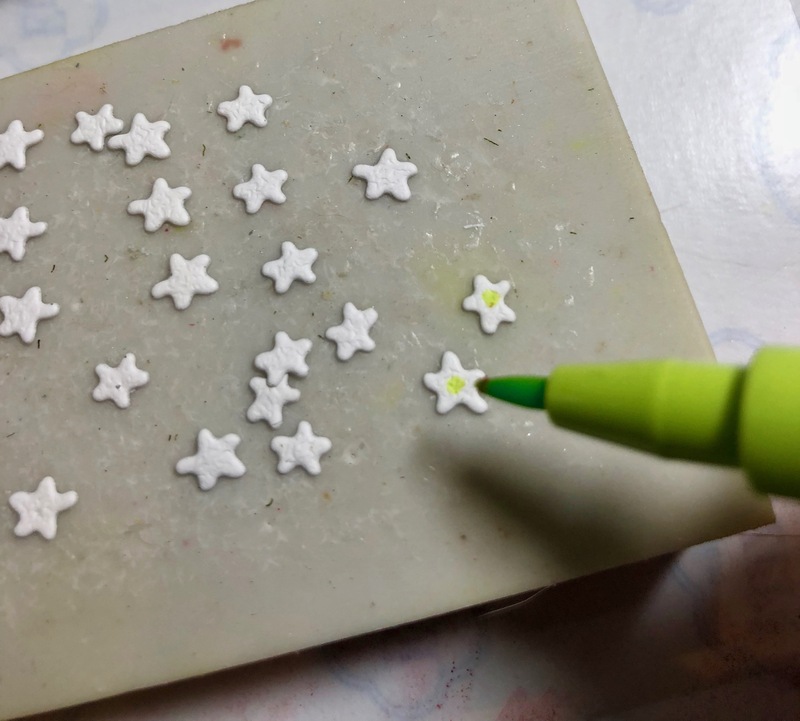 Place the flowers on a harder surface (i.e., carving block or eraser) and make a small dot in the center in a bright green. 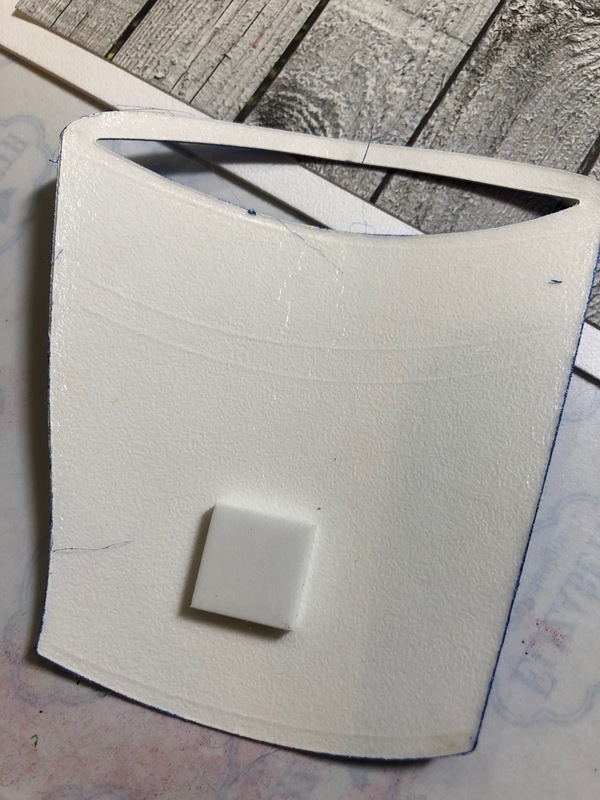 Next, use a rounded toothpick to cup the shapes. 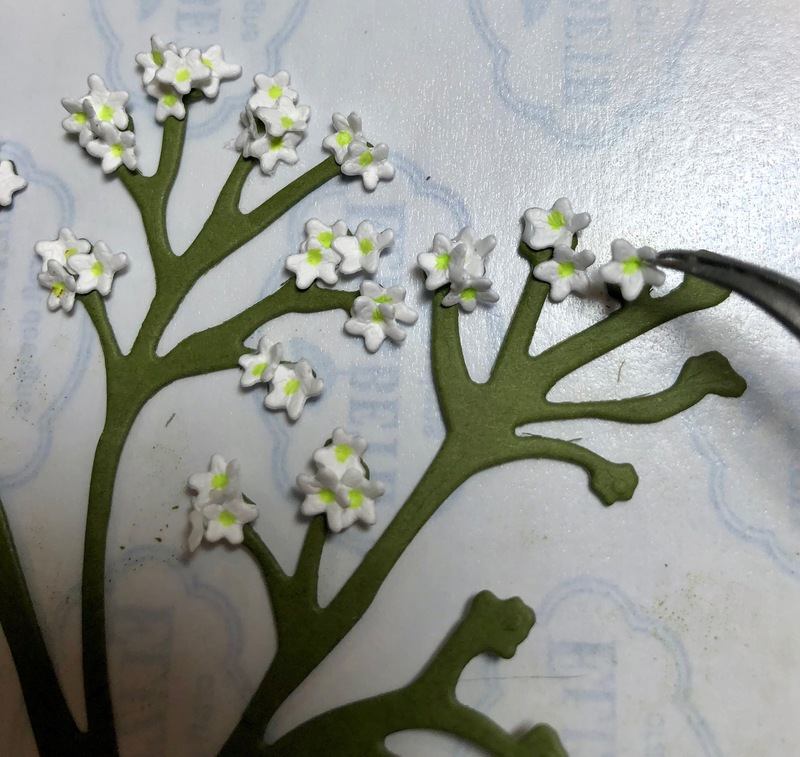 Use small tweezers to pick up the flowers, lightly dip the underside in glue and fill the branches. Set aside. 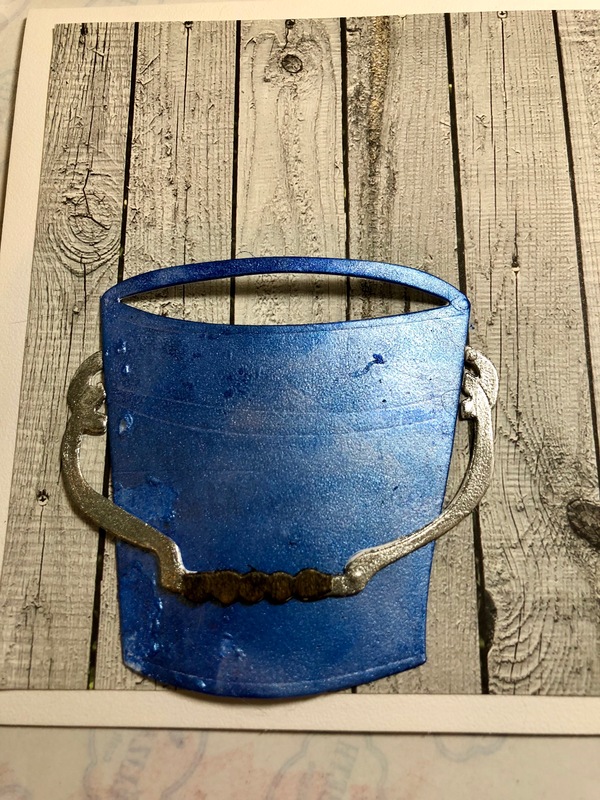 I did a technique on the bucket that I learned from Sally Lynn MacDonald of GelPress. 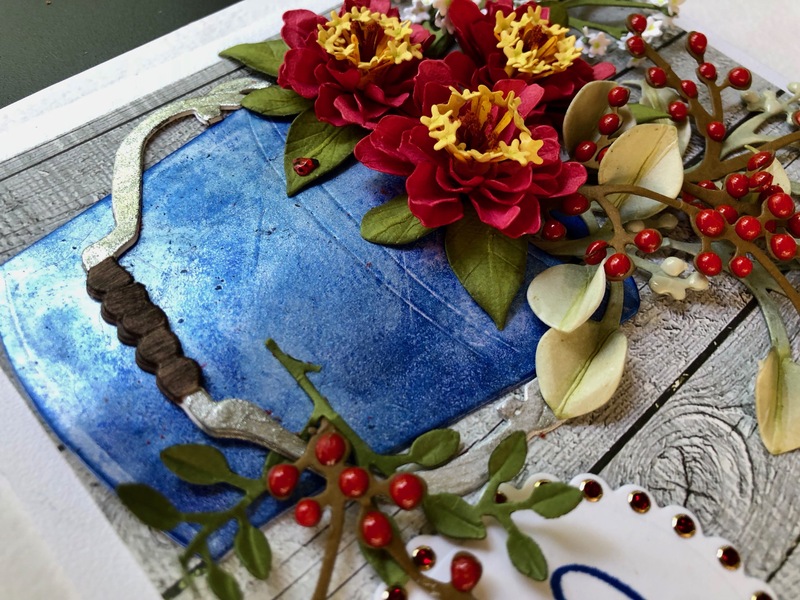 Apply some alcohol ink onto a GelPress pad; I used a Copic Refill/Royal Blue B28. 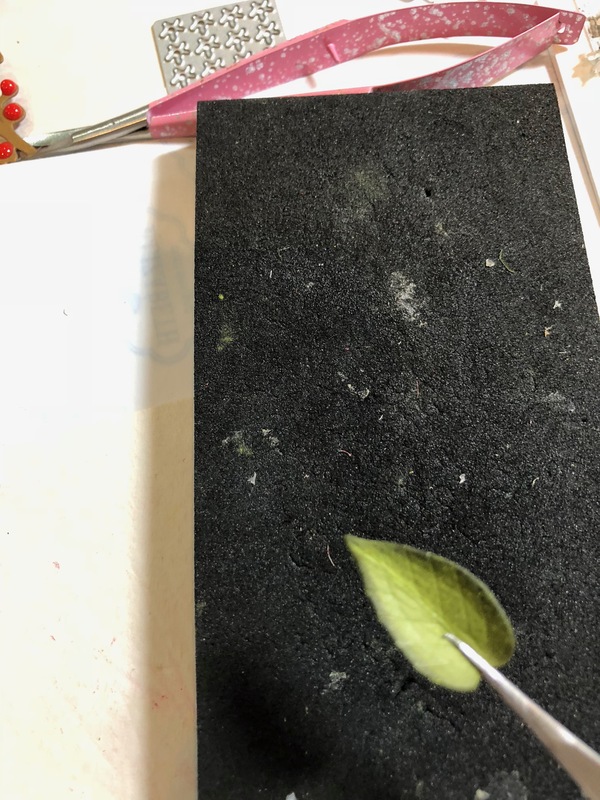 Next, on a smaller, separate GelPress pad, I rolled some metallic white acrylic paint, then, rolled it over the dried alcohol ink. 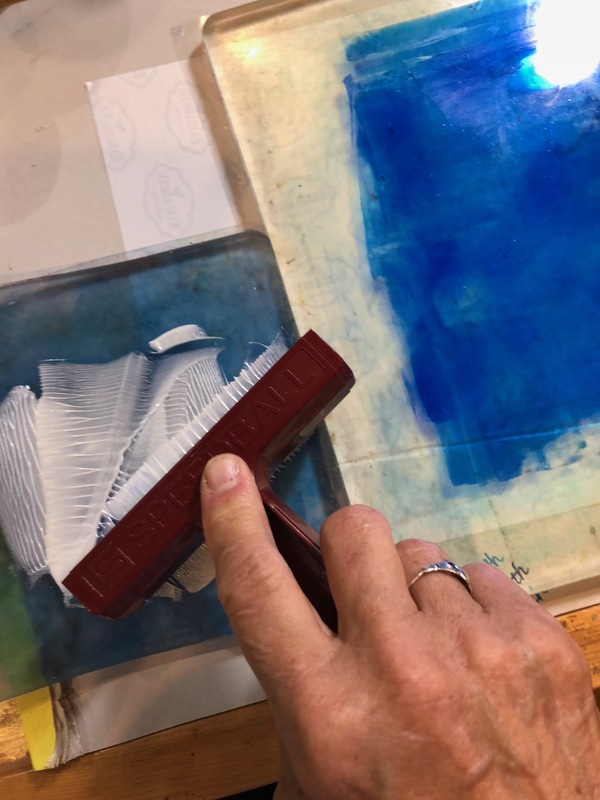 Press the Bucket, right-side-down onto the pad and use a separate roller to press into the plate. 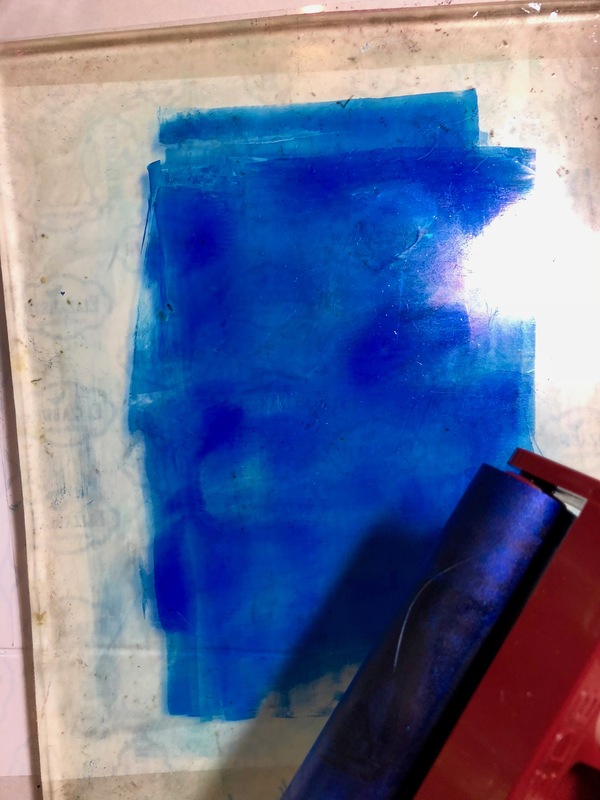 The first press, the blue isn’t as strong, but repeat in several areas on the pad until you get the color you desire. 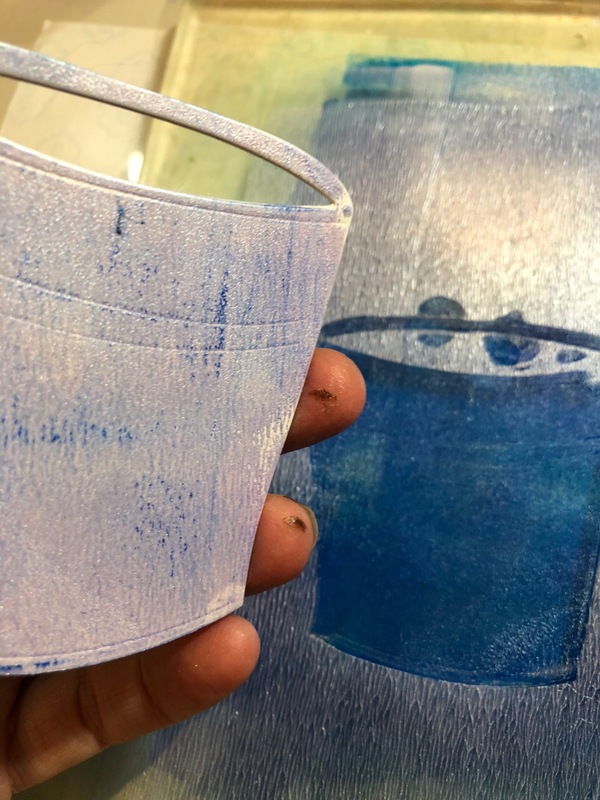 Peel off the backing of the Clear Double Sided Paper and add a foam tab in the lower 1/3 of the Bucket. 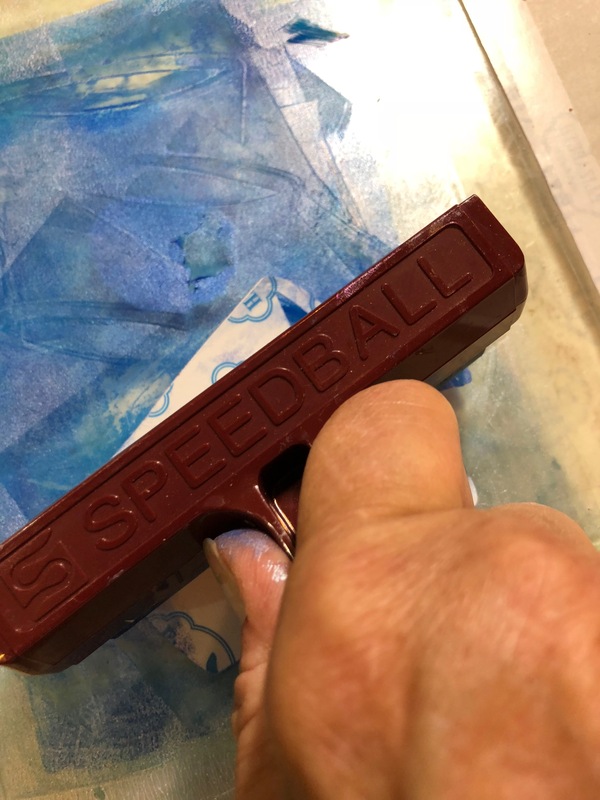 I painted the handled with Pentart’s Platinum and die cut a separate wood piece for the handled. 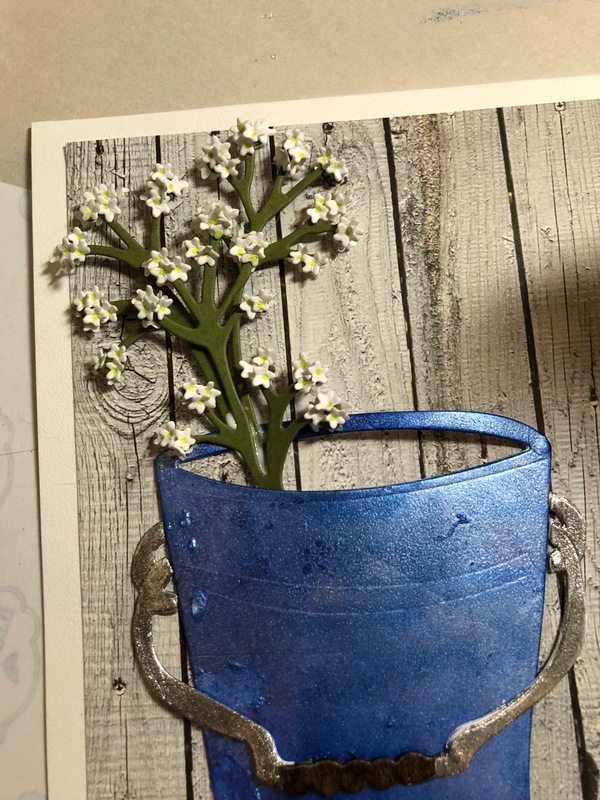 I placed the Bucket on a 6″ x 6″ Soft Finish White card with a 5 1/2″ x 5 1/2″ layer of ModaScrap’s Wood Effect cardstock. 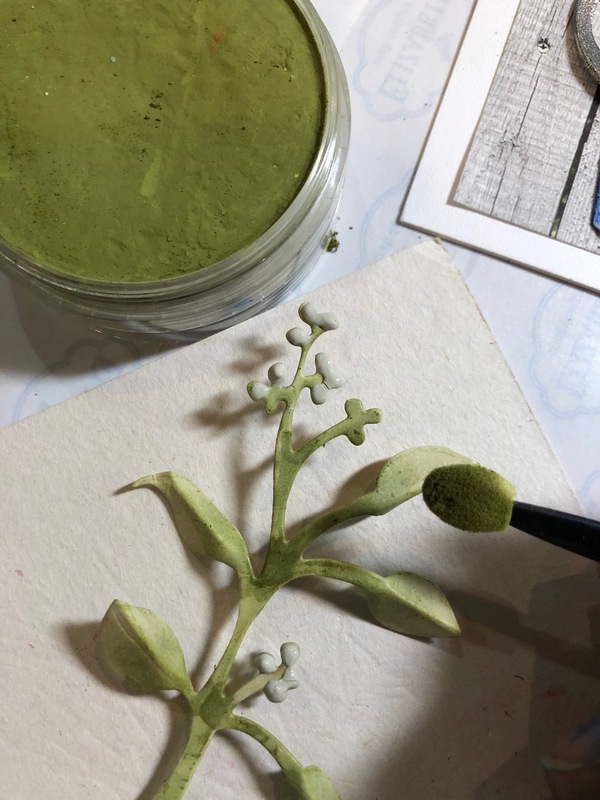 Fill the Bucket with Baby’s Breath; notice I cut one of the branches of this piece to add fullness to the spray. 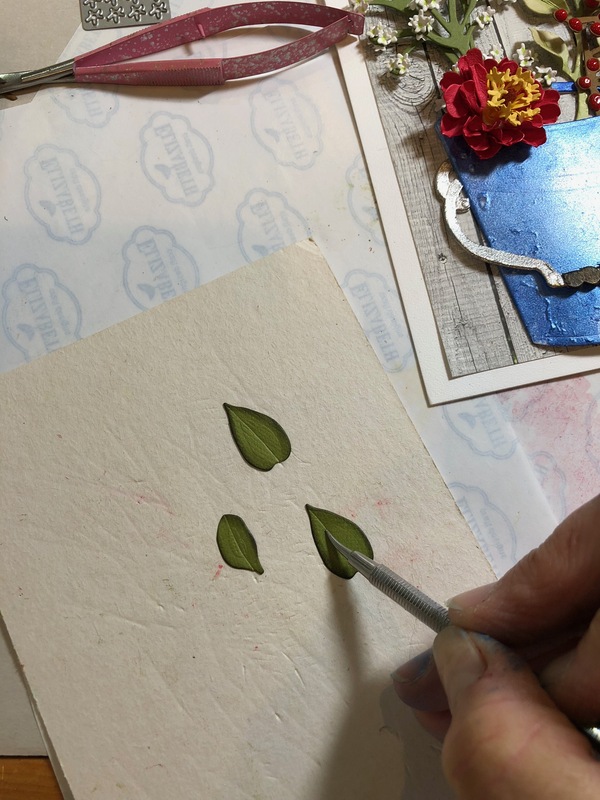 Then shape the Eucalyptus Branches and add to the bouquet. 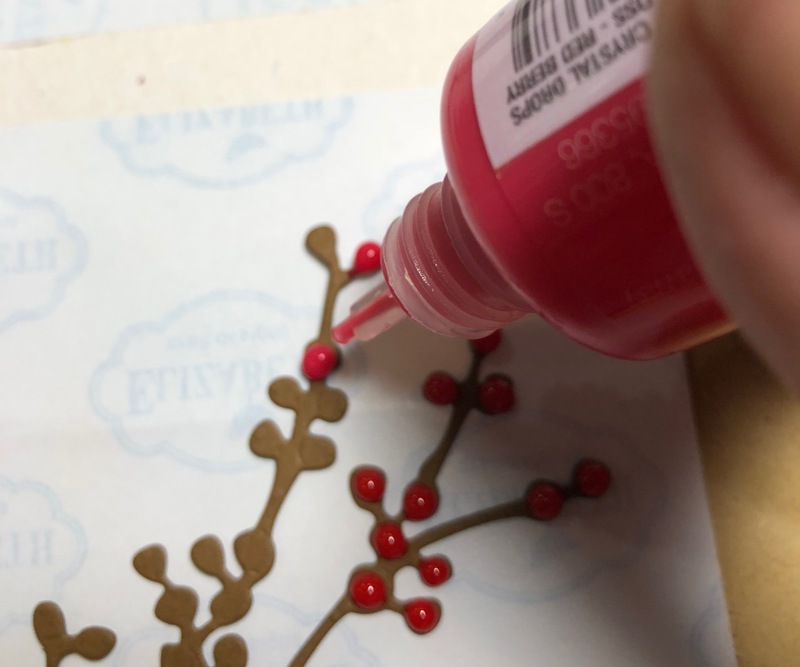 The Berry Spray is cut into three pieces for ease of placement. 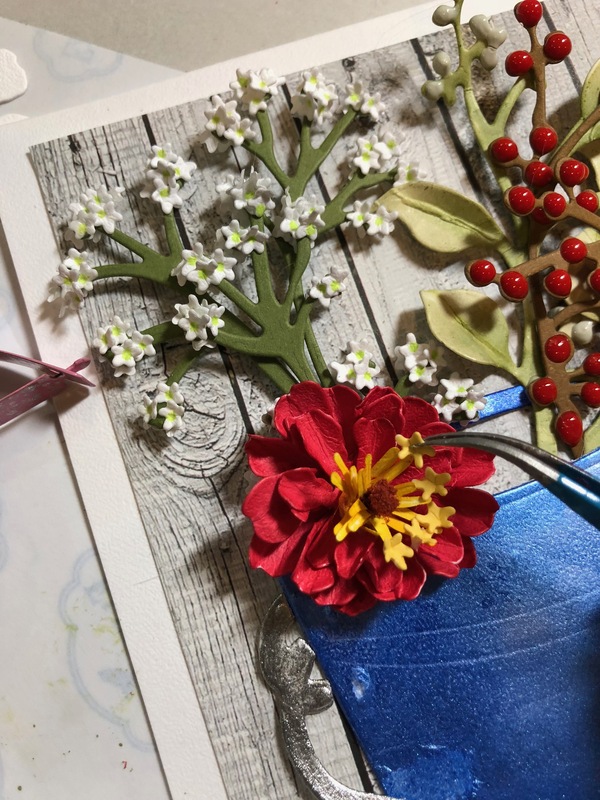 The Zinnias are next. 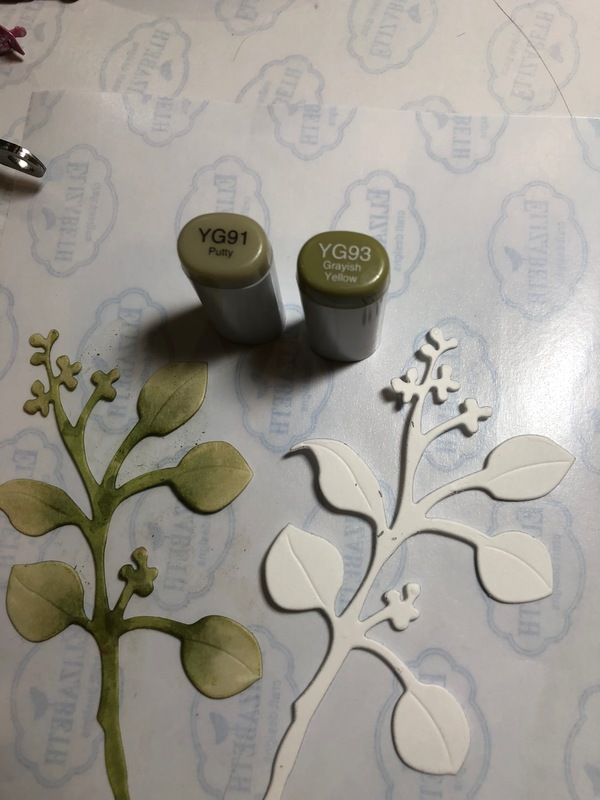 I die two pieces each of the flower shapes in Soft Finish White Cardstock (85 lb.230g). I colored them with Copic Marker R29. 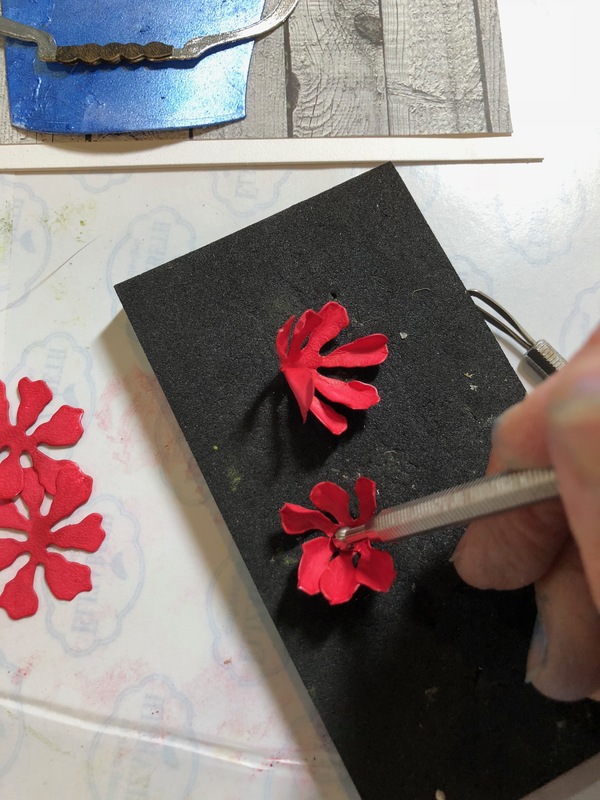 To finish the flower, you need to die cut two “stamen” pieces, 2 to 3 leaves, and one “plate” of Flowerettes for the center of the flower. 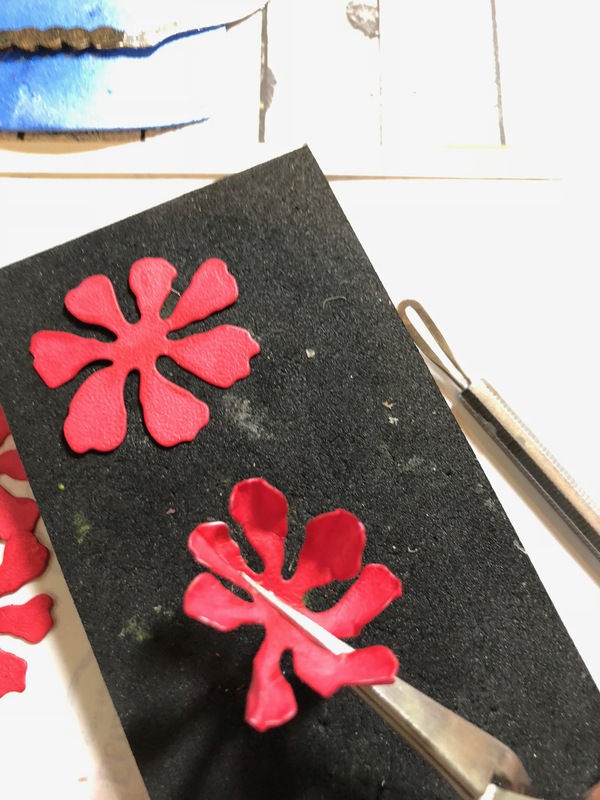 Place the flower shapes on the Molding Pad and use the small end of the Loop Tool to shape each petal. 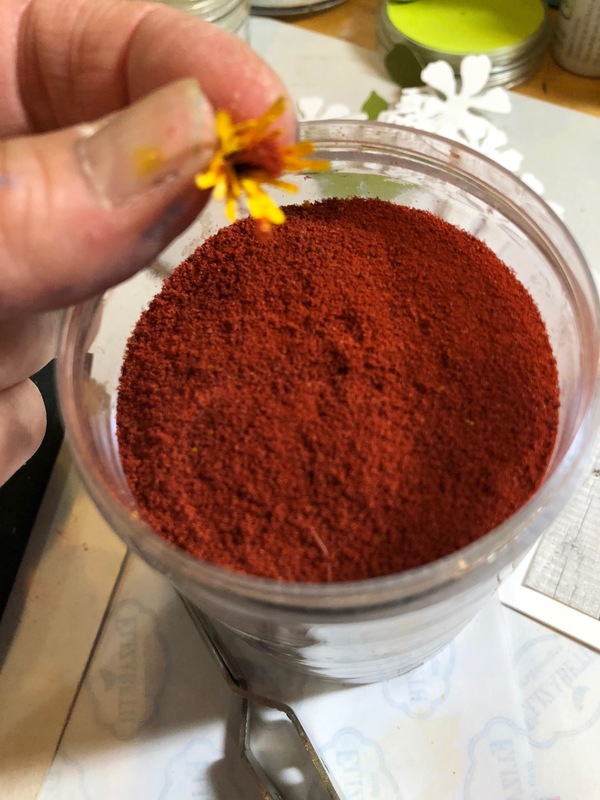 Next use the tweezers to pinch each petal. 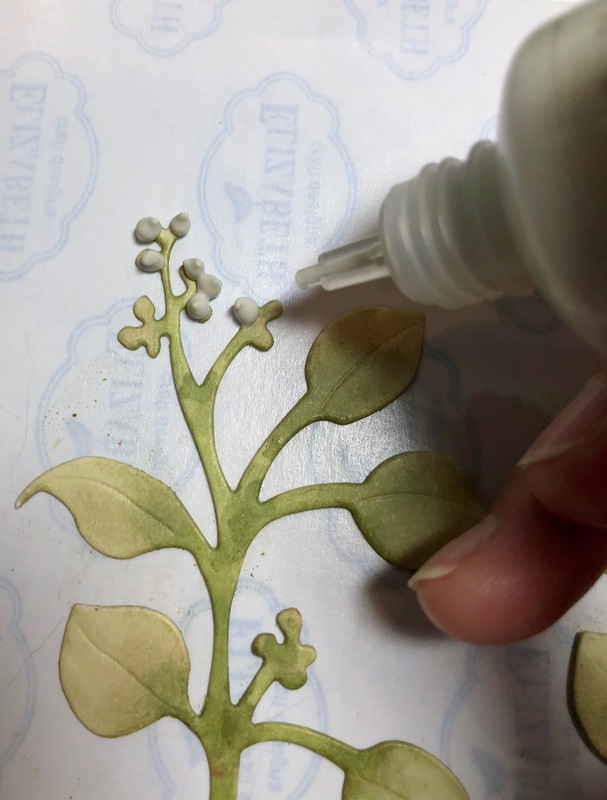 Finally, place the flower back on the Molding pad and cup, using the Medium Ball Stylus. 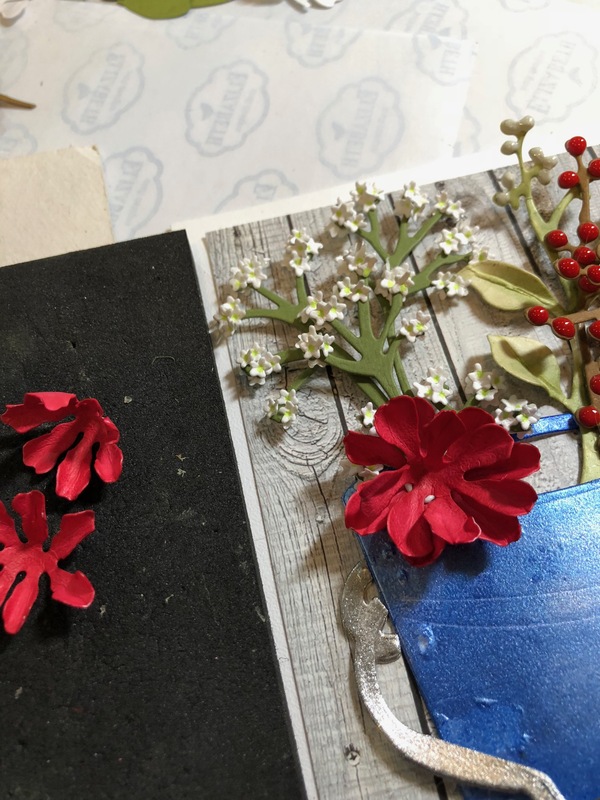 Build the Zinnia right onto your project, starting with the larger flower pieces, off-setting the petals as you glue them one on top of the other. 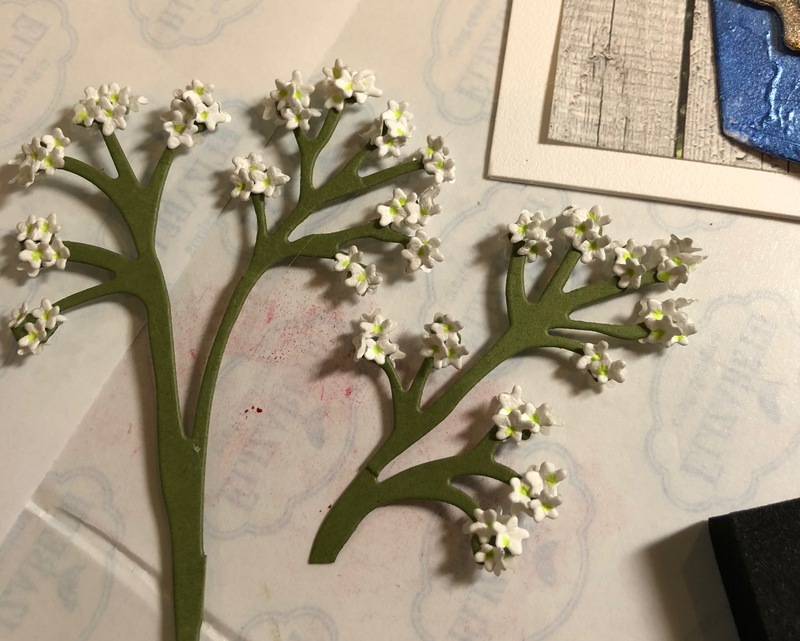 The stamen is die cut twice in Soft Finish White cardstock. 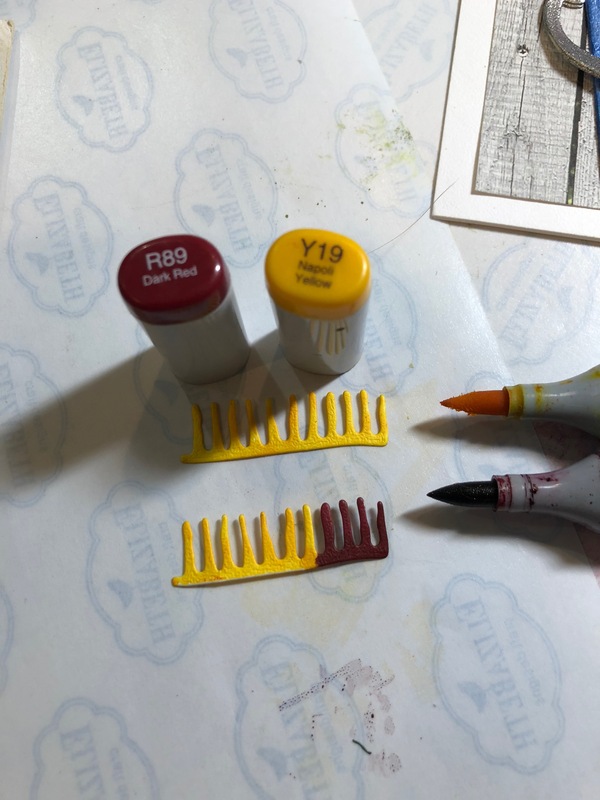 Color one with Copic Y19 and the other partially in Y19 and four filaments with R59 as shown. 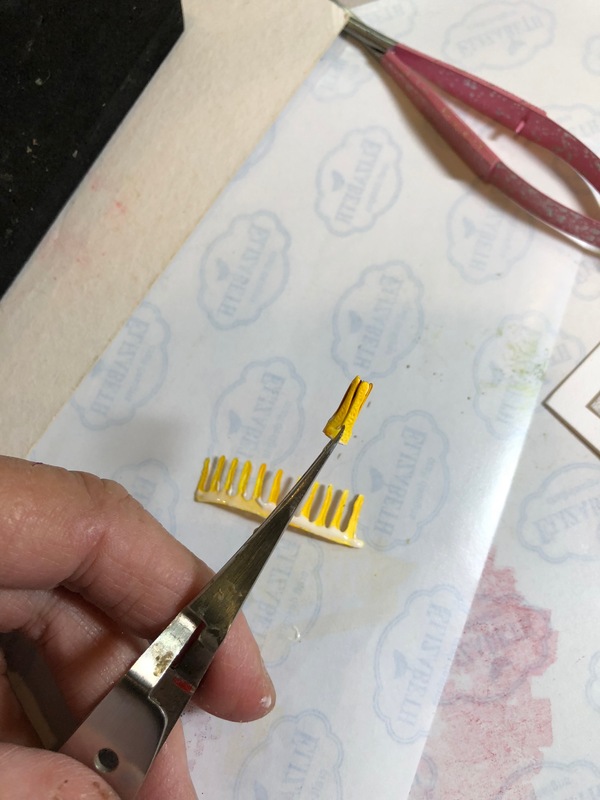 Use the small scissors to cut the R59 filaments in half. 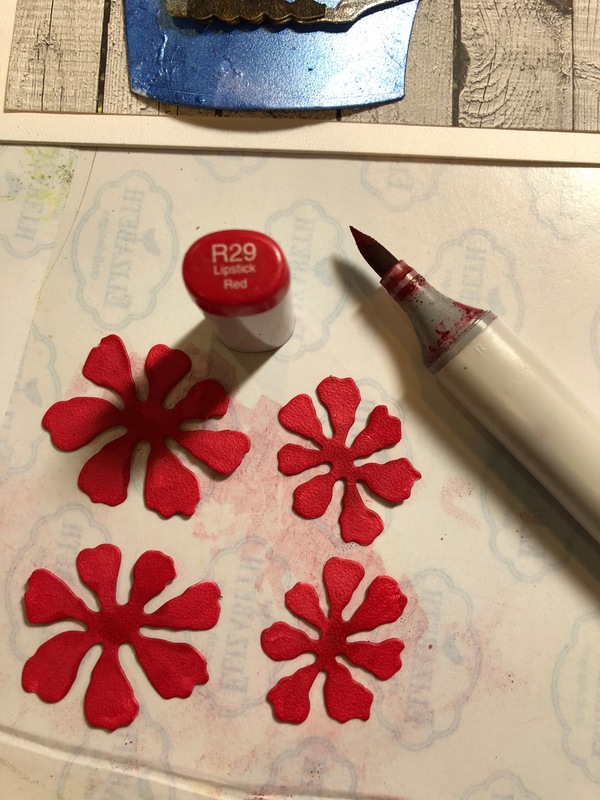 Next, apply glue to the straight edge of the 2-tone stamen and roll it up, making sure you start with the R59 so it ends up in the center. 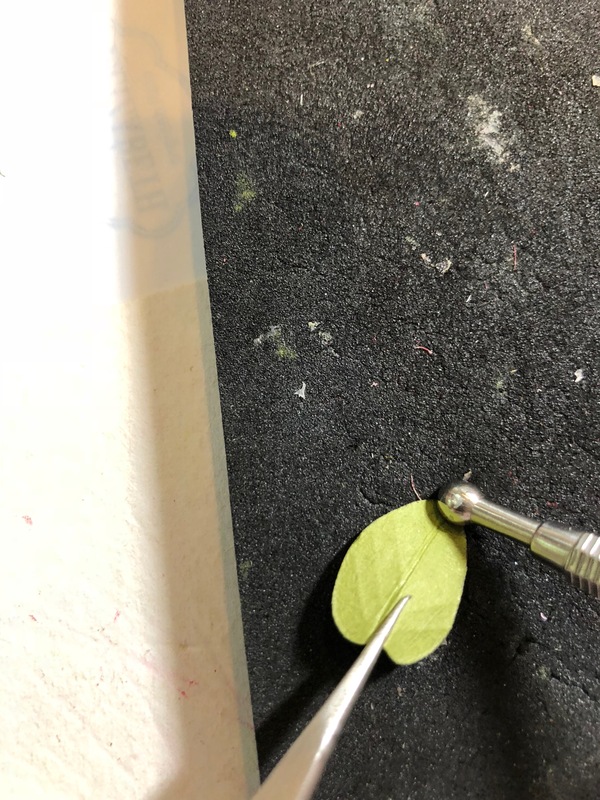 Apply glue to the straight edge of the solid yellow stamen and roll it around the first stamen. 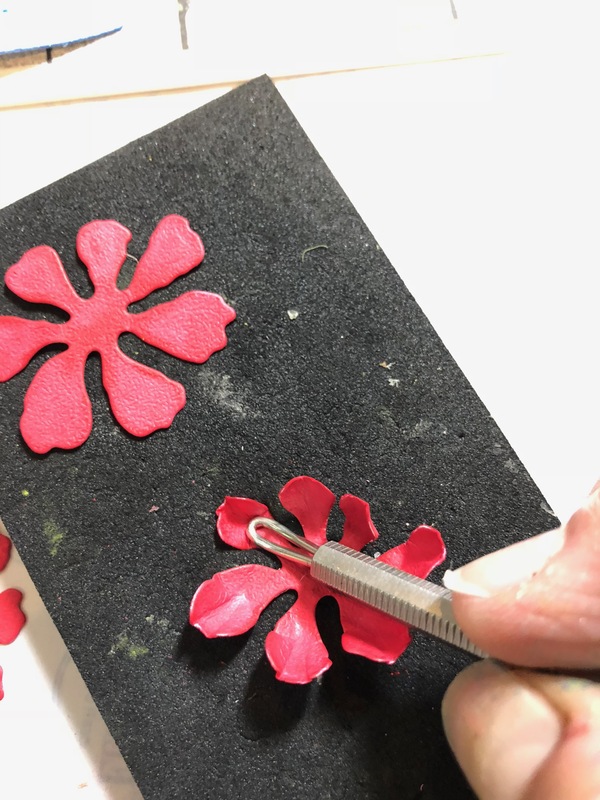 Add some glue to the tips of the red filaments and dip into the Rusty Red Pollen. 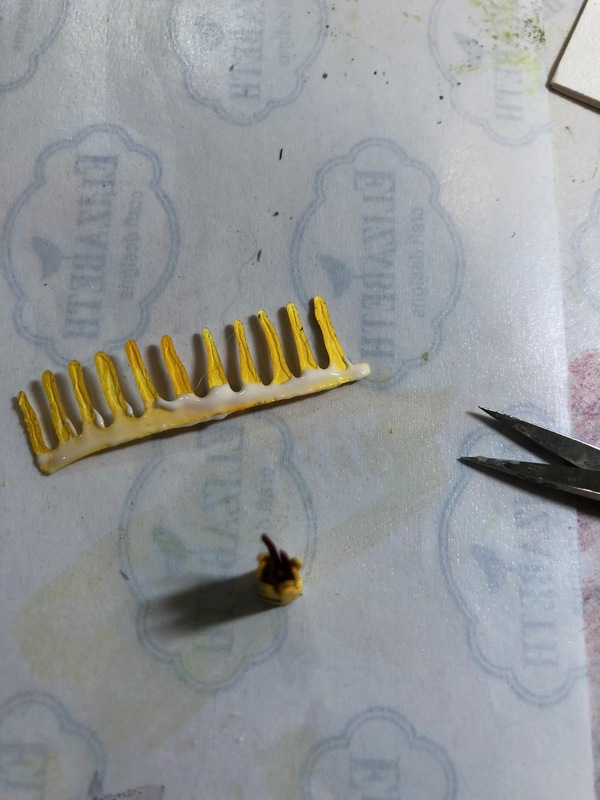 Fan out the Yellow filaments and glue this piece in the center of the flower. 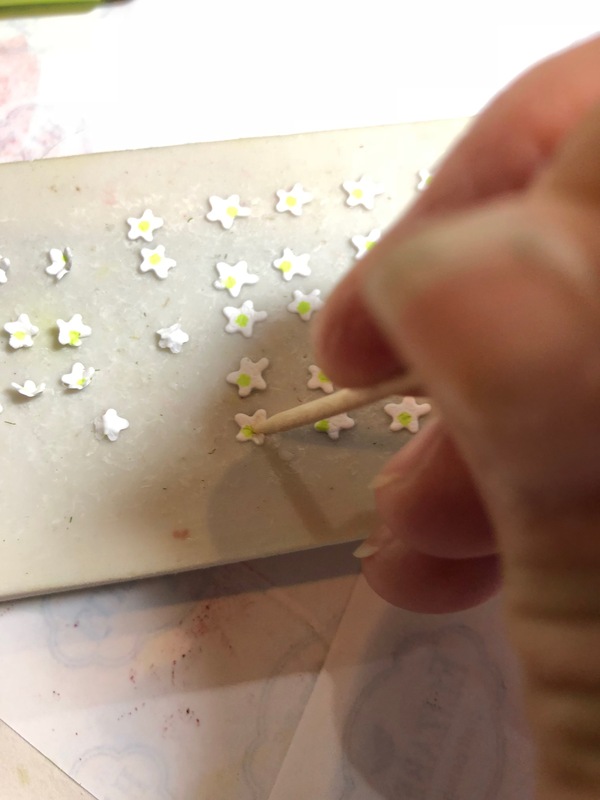 Place the Yellow Flowerettes on a carving block or eraser and cup each one with a rounded toothpick. 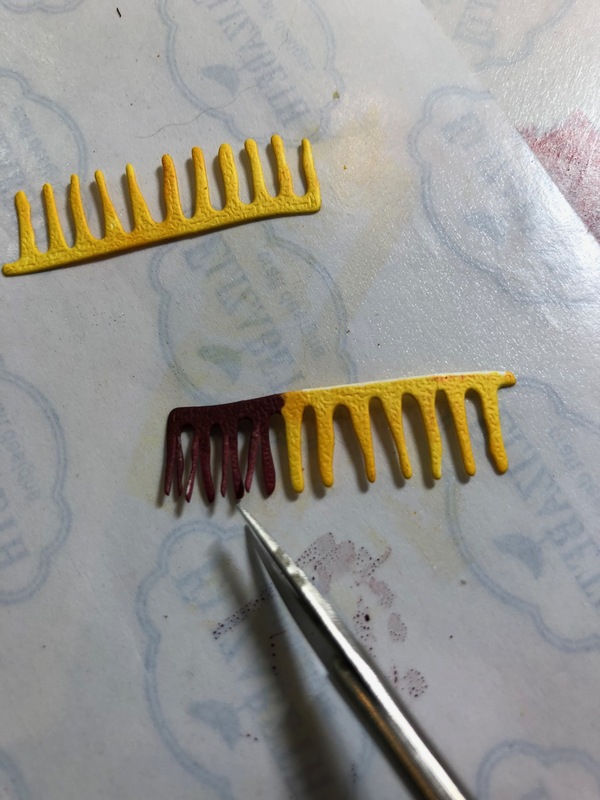 Using small tweezers, lightly dip the undersides into the glue and place them onto the yellow filaments. Have a happy and safe 4th of July and let’s remember what this holiday means!